THE woman behind the YouTube shooting had previously ranted about the company and accused it of discriminating against her. Local media, quoting police sources, have identified the shooter as Nasim Aghdam, from Southern California. Aghdam, 39, posted a video on YouTube in January 2017 where she said YouTube "discriminated and filtered" her content. She accused the company of being the culprit behind her channel getting less views, and in a fiery spray the following month, said there was "not equal growth opportunity on YouTube". Aghdam reportedly got off as many as 40 shots before she killed herself. The shooting spree caused panic and chaos at the company as terrified staff ran for their lives. According to ABC7, she wrote on her website, "Be aware! Dictatorship exists in all countries but with different tactics! 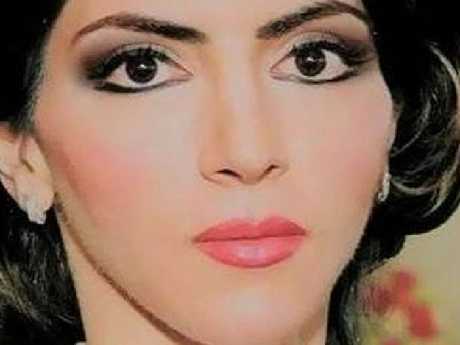 This is an undated image from the Facebook page of suspected YouTube shooter Nasim Aghdam. She went on to say the "mental and physical health" of people was at risk by companies who were "destroying family values, promoting materialism and sexual degeneration in the name of freedom and turning people into programmed robots!" 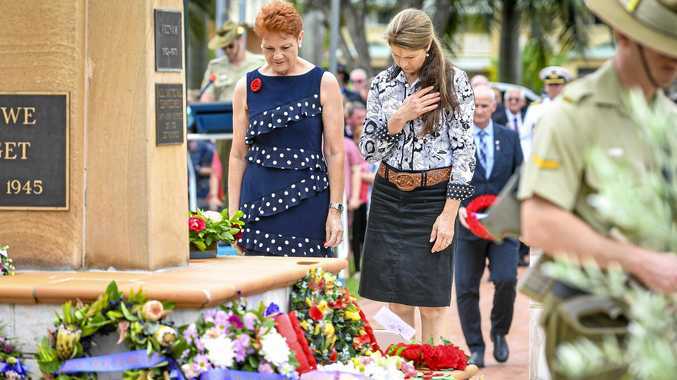 She then quoted Hitler: "Make the lie big, make it simple, keep saying it and eventually they will believe it." The rest of her message was dominated by her scathing words for YouTube. "There is no free speech in the real world and you will be suppressed for telling the truth that is not supported by the system. Videos of targeted users are filtered and merely relegated so that people can hardly see their videos." Her YouTube videos have been removed, as have her Facebook and Instagram accounts. 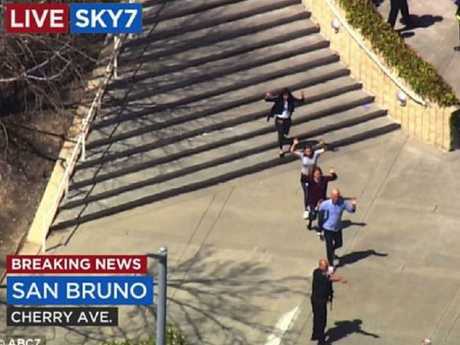 Aghdam turned the gun on herself after she shot three people at the San Bruno, California, offices. 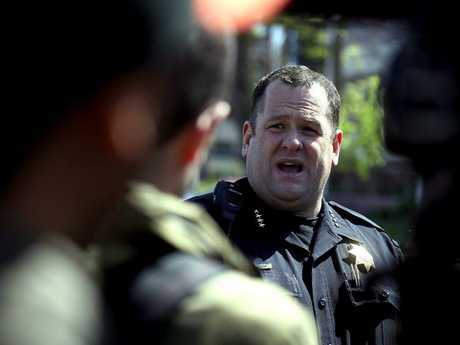 San Bruno Police Chief Ed Barberini said the Aghdam's body was found inside the building. "We have one subject who is deceased inside the building with a self-inflicted wound," Mr Barberini said. "At this time, we believe it to be the shooter." Mr Barberini said four people had been taken to hospital, including three with gunshot wounds. Asked about her motive he said: "We know very, very little right now, and we probably won't know more until tomorrow morning." CNN reported Aghdam knew at least one of the victims - but Mr Barberini said it was unclear whether the shooting was a domestic violence incident. A hospital spokesman said 36-year-old man was in critical condition, a 32-year-old woman was in serious condition and a 27-year-old woman was in fair condition. Dr Andre Campbell told reporters the hospital was initially expecting four patients but only received three and medics were not expecting further victims. The fourth victim was treated at Kaiser Permanente South San Francisco Medical Center for a broken ankle, NBC News reported. ABC reported Aghdam had no personal relationship with anyone in the YouTube facility. Witnesses said she did not have an identification badge on her - as staff are supposed to - but was carrying a purse. 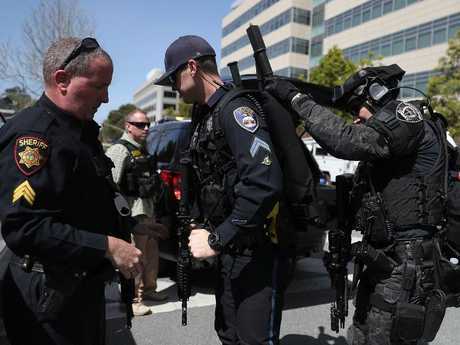 Heavily armed SWAT police surrounded the area following the gunfire and officers patted down people being evacuated from the building. YouTube product builder Todd Sherman tweeted that he saw "blood drips" as he fled the building following the gunfire. "I looked down and saw blood drips on the floor and stairs. Peeked around for threats and then we headed downstairs and out the front," he tweeted. 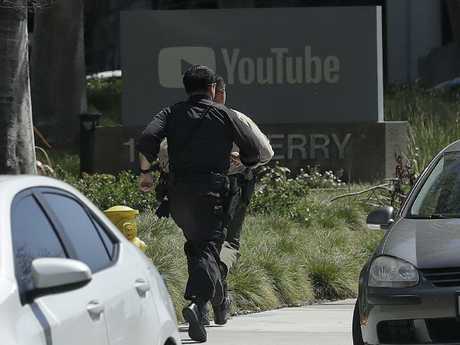 Workers are seen being evacuated from YouTube headquarters. Mr Sherman said he thought the sound of people running was an "earthquake" at first but soon realised a shooter had stormed the building. Another worker, Vadim Lavrusik, tweeted he was now safely evacuated but shaken up after being barricaded inside. Mr Lavrusik's verified account was later hacked by someone attempting to spread misinformation about the shooting. The unknown hoaxer used the account to implicate a YouTube broadcaster in the shooting. "PLEASE HELP ME FIND MY FRIEND I LOST HIM IN THE SHOOTING," one fake tweet read with a link to a YouTuber Keemstar. Another tweet read: My name is so gay. Twitter CEO Jack Dorsey tweeted the situation was being handled and the tweets were later deleted. A witness has told of discovering a bloodied victim in a carpark. "She had a leg injury, a gunshot wound, so I put a tourniquet on her to try to help her," the witness told Sky News. He said the victim was an Asian woman, aged in her 20s. YouTube is owned by Google whose main headquarters are based in northern California. In a tweet, the company confirmed it was working with authorities and will provide information as soon as it has become available. Google has also advised workers to stay away from the area until further notice. In a follow up statement, the tech giant thanked first responders on the scene and vowed to help workers heal from the violence. Chris Dale, Head of Communications for YouTube said it felt like "the entire community of YouTube, and all of the employees, were victims of this crime." In his first public comments on the incident, President Donald Trump said on twitter: "Our thoughts and prayers are with everybody involved. Thank you to our phenomenal Law Enforcement Officers and First Responders that are currently on the scene."